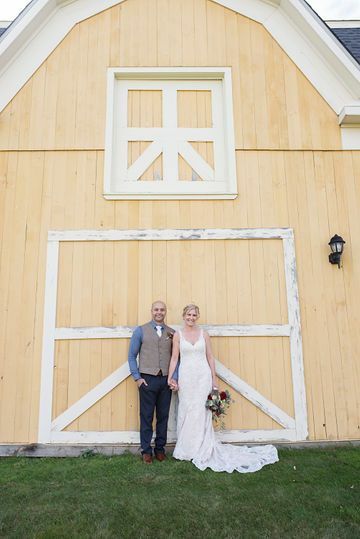 The Ranch Golf Club in Southwick has a sweet wedding venue, The Pavilion, which is a beautifully restored and modernized barn. 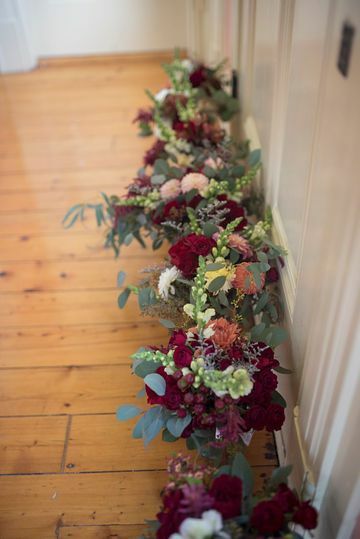 There’s a separate house where the bridal party can get ready, a private ceremony area with a rustic arch, and the barn itself, which is roomy and bright and went very well with my flowers, which I grew and sourced locally, except for the eucalyptus. When I got there, the bride, Cailin, getting her hair done, her bridemaids and mom buzzing around, and she seemed so relaxed! I can’t help but think that bodes well for a wedding and marriage! 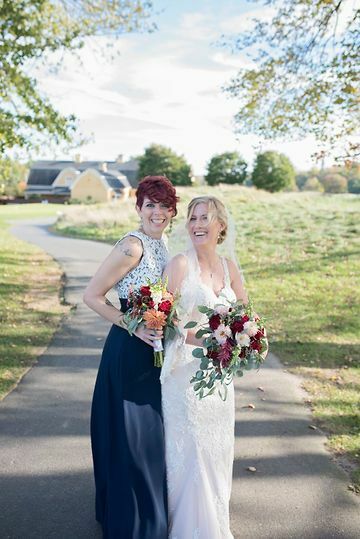 Cailin wanted a loose, teardrop-shaped bouquet, which I created using lots of eucalyptus, but also some amaranth I grew just for her, as well as some pretty white snaps (important to the bride) and spray roses. 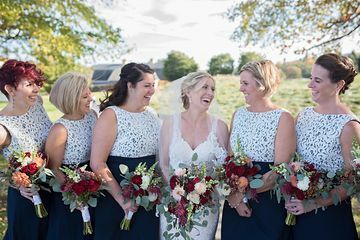 The bridesmaids bouquets complimented the bride’s, but were not a match. 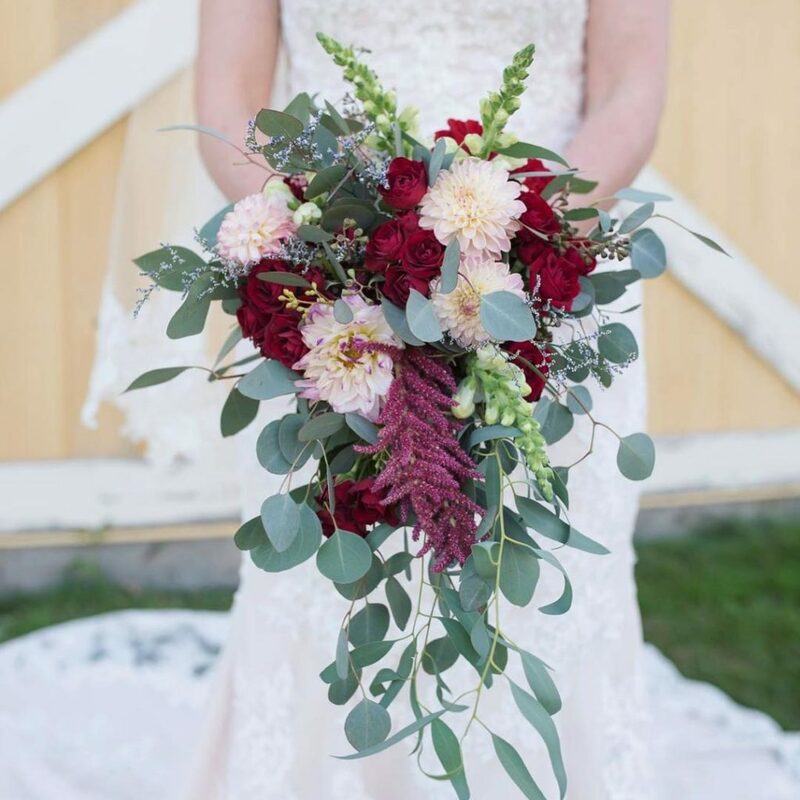 Doing this allows the bride’s bouquet to really stand out, which is how it should be! 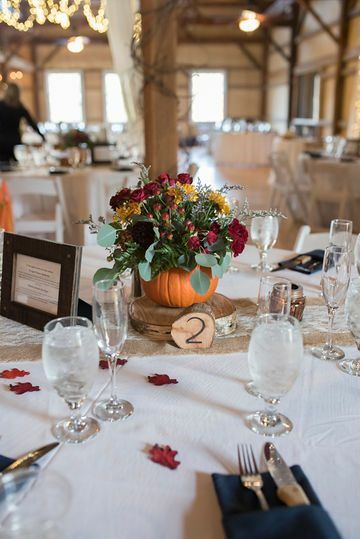 Cailin and Mike chose pumpkins as vessels for their centerpieces. It was fall, after all! I got these from a farm stand in Ashfield, so locally grown extended to the pumpkins! Congratulations to the happy couple! The wedding was gorgeous, but now for the best part: your marriage! Next Post Who knew? 2018 in review! I’m a Local Hero Farm!